Auto insurance – something we all buy because we’re told it’s necessary, something most of us regret once it starts to seem like it was a huge waste of money, and something that actually guarantees financial survival to a handful of those who are unfortunate enough to end up in a nasty car accident. Because, auto collisions happen, and trees have a bad habit of falling on top of our shiny new cars. It may be a human error, and it may be a hailstorm. Sometimes, the wellbeing of your car is the least of your concerns. Other times, and that’s if you’re lucky, the material damage is utterly heartbreaking. Here’s everything you need to know about how to prevent losing money on your first-ever vehicle. Is Car Insurance a Legal Requirement? The laws on car insurance vary from one country to another, and so does their existence. In UK, for instance, every motorist is required by law to have insurance for their vehicle. Things are a bit different in US, as not all states deem car insurance as compulsory. In New Hampshire, for example, the state does not require you to buy auto insurance, but it does hold you financially responsible nevertheless. At the end of the day, does it even matter? The entire purpose of car insurance is to provide financial relief to drivers who take good care of their property, but suffer material losses due to external factors. Skipping out on insurance only leaves you financially vulnerable, not to mention the fact that good coverage may compensate, though only in part, for other types of losses inflicted in vehicle accidents. Car insurance may seem like a choice, but it really isn’t. If you are a first-time car owner, it’s up to you to do everything in your power to make the road a safer place for all drivers. Purchasing auto insurance is about being responsible to yourself, your property and livelihood, and to every participant in traffic. What Is Minimum Car Insurance? Legally speaking, every car owner in US is required to buy minimum car insurance. The “minimum” is determined by the state law, but it typically includes four basic types of coverage – bodily injury liability, property damage liability, personal injury protection, and uninsured/underinsured motorist protection. For the time being, the majority of states legally require only the first two coverage types. Is Minimum Car Insurance Enough? When you compare the minimum car insurance requirements with how they actually apply in a legal claim, it’s obvious that these four types of coverage are not enough. Numbers don’t lie, and neither does your insurance agent. The thing that may be further from truth are all those one-size-fits-all packages from TV commercials. Your car insurance options should ensure maximum security, full stop. What Options to Consider Before Buying Car Insurance? First and foremost, your own safety. Bodily injury liabilities and personal injury protection are essential, as you should never neglect the worst-case scenario when choosing insurance options. Our roads are unfortunately crammed with irresponsible drivers, which is why uninsured/underinsured motorist protection is the second most important type of coverage in your vehicle insurance package. One of the most common questions asked by drivers is “If airbags deploy, is car totalled?” A shocking number of vehicles get destroyed beyond repair every single day, ensuing financial losses that haunt car owners for years after the accident. Not everything in life can be predicted and prevented, which is why car insurance is meant to protect your current and future assets, even when they get totalled. 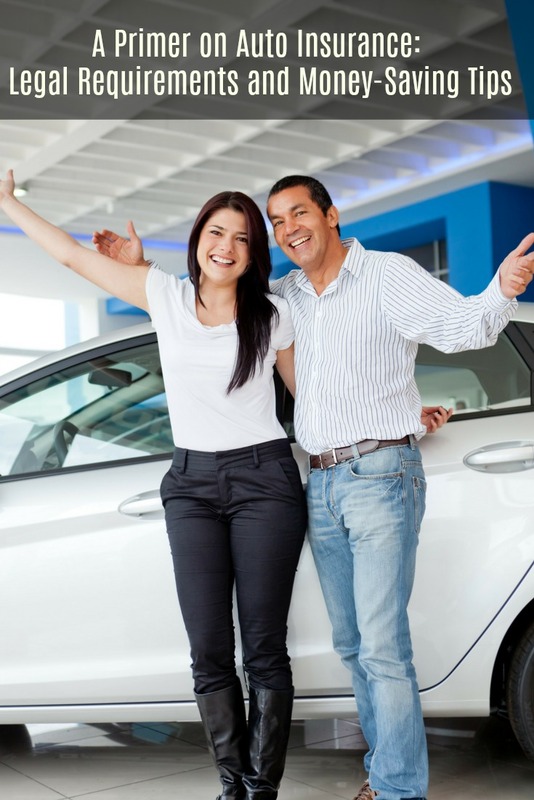 When you look at the broader picture, car insurance is a money-saving purchase by itself. The very act of buying coverage will prevent you from losing money in the long run, but there are still ways to make it even less expensive. And, as always, financial savings start with making sound agent/broker choices. Choosing the right car insurance package is only the beginning. In order for the coverage to pay off, you must also choose a good insurance company. Sure, it has to be reliable and cover your vehicle at all times and under all terms, but it also has to be reasonable. Do your homework, and compare prices. Whatever you choose, beware of these two things. First, discounts for the first couple of months of coverage usually get reimbursed through additional payments down the line. Second, and the importance of this one can’t be overstressed, minimum price always provides minimum vehicle safety. Car insurance is not some kind of a marketing trick. It’s not a hoax designed to rob you of your hard-earned money, but exactly the opposite. Getting good coverage on your vehicle is a matter of personal safety and property security, which makes it a wise and pretty affordable investment in the future. Never opt for the cheapest auto insurance, but look for the middle ground between price and quality.